The obvious differences are that Anne is small and thin, while Georgiana is tall and her figure well built. Georgiana is accomplished, while Anne is not, and we might assume that Georgiana isn’t sick. But they both speak very little, and each of them needs their companion’s guidance. I have a feeling that it’s not so much that Anne is so dumb and Georgiana so sensible, as that Darcy hired a better lady companion than Lady Catherine did. Anne tries to be like her mother outside of the house i.e. she visits their tenants almost daily. She often stops at the parsonage but rarely comes in. Although her reasons in this case might be different than her mother’s – when she comes in it’s not to instruct them about their life. However, Georgiana too seems to do things only because she knows it’s what Darcy expects of her, i.e. on his entrance she exerts herself much more to talk to Lizzy. Lizzy found Anne rude even before she spoke to her. She only saw her from afar while Anne was talking to Charlotte. Lizzy said “She is abominably rude to keep Charlotte out of doors in all this wind.” But there’s no wind. Just minutes earlier Lizzy was getting ready for a walk. Additionally, although Anne didn’t come in, she in fact stopped to invite the Lucases and Lizzy to Rosings, and it’s just the next day after their arrival. Of course it’s not as striking a civility as that of Georgiana who called on Lizzy on the day of her own arrival, but then we all know that she’d never call if Darcy didn’t drag her, and she’d never invite them to dine if Darcy didn’t tell her to. Inside the house we see Anne very subdued. She’s not uncivil or haughty, she’s just passive. While of course no one might dream of talking when Lady Catherine does, there are moments when Lizzy and Anne might have had a conversation. Yet, she doesn’t speak. Elizabeth was ready to speak whenever there was an opening, but she was seated between Charlotte and Miss De Bourgh — the former of whom was engaged in listening to Lady Catherine, and the latter said not a word to her all dinner time. Mrs. Jenkinson was chiefly employed in watching how little Miss De Bourgh ate, pressing her to try some other dish, and fearing she were indisposed. Their table was superlatively stupid. Scarcely a syllable was uttered that did not relate to the game, except when Mrs. Jenkinson expressed her fears of Miss De Bourgh’s being too hot or too cold, or having too much or too little light. Yet, if Charlotte sat with them she’d likely speak to Anne. Charlotte seems to be the only sensible person of Anne’s acquaintance, and the only one she talks to in any normal manner (although we’re not told what the two talk about). Georgiana’s reception of them was very civil; but attended with all that embarrassment which, though proceeding from shyness and the fear of doing wrong, would easily give to those who felt themselves inferior the belief of her being proud and reserved. Mrs. Gardiner and her niece, however, did her justice, and pitied her. Anne needs Mrs. Jenkinson’s help in “placing a screen in the proper direction before her eyes” while Georgiana needs “many a significant look and smile” from Mrs. Annesley to remember of her post – ordering the refreshments. So they both seem suppressed. None of them speaks. Only that Georgiana’s silence is excused as shyness while Anne’s is called stupidity. Of course Anne is older, and Georgiana isn’t out yet, but likely Georgiana is more worldly anyway. She lives chiefly in London, was sent to a school, later received even better education from the London masters, and attended dinners at Darcy’s friends, while Anne never leaves Rosings. Yet, compared to the girls Fanny Price, who can talk to Mr. Rushworth or the Crawfords, seems a veritable chatterbox. In Anne’s case Lizzy doesn’t make any effort to know her better, in Georgiana’s she does, even though the situation must be very stressful to herself with Caroline sitting there too, and Darcy being expected any moment. But both Anne and Georgiana behave similarly. Also, although Anne’s ill health is generally spoken of, Lizzy is the only one who thinks that Anne looks pale, sickly and cross. But there is a moment when Anne smiles at Collins’s compliment and an allusion about her and Darcy. So even if she’s naïve and a bit vain, she’s not so cross. Lizzy’s view seems to be tainted by her jealousy, just as Lydia’s view of Miss King, or Caroline’s of Lizzy. Lizzy and Mariah’s last evening at Rosings ends with “When they parted (…) Miss De Bourgh exerted herself so far as to curtsey and hold out her hand to both.” which in case of someone as passive as Anne seems like a sudden outpour of emotion. It might mean that Anne finally felt at ease enough to do anything. Of course Lady Catherine hired a governess she liked, just as Collins is a parson who suits her. Darcy had other ideas and so Mrs. Annesley is objectively a much better companion than Mrs. Jenkinson. Yet, with a companion like Mrs. Annesley Anne might make a better impression, while Georgiana would make a worse one with Mrs. Jenkinson at her side. Glad you found it interesting, Sandi! Re your comment about there being no wind: there is actually no way to gauge what the weather was like as Elizabeth is the only person who comments on it during the day in question and it is not mentioned in the narrative. The fact that Elizabeth was getting ready to go for a walk doesn’t prove anything as you can walk comfortably in temperatures which are much too cold to stand around in – especially if you have got ready for the walk, i.e. put a coat (or cloak) on. We only know that Maria, who replies to Elizabeth, doesn’t contradict her. Yes, Eyoki, one can walk comfortably in low temperatures, one cannot when there’s wind. Thank you for the great post. I think this is terribly interesting and a great perspective. very helpful for character research on Anne. That’s a great perspective, cos Anne de Bourgh has always had possibilities to me. I wish to take exception to your characterization of Georgiana Darcy’s first meeting with Elizabeth Bennett and her invitation to dine: “…we all know that she’d never call if Darcy didn’t drag her, and she’d never invite them to dine if Darcy didn’t tell her to”. We know no such thing. Miss Darcy was painfully shy, but she was clearly disposed to like Elizabeth, based upon her brother’s recommendations and the actual experience of meeting her. Hurrying to meet the woman her brother admired so soon after her arrival was perfectly in character with her personality as described by Jane Austen. As for the meeting itself, “Georgiana was eager” to be pleased by Miss Elizabeth. Further, “Mr. Darcy called on his sister to join him in expressing their wish” (italics mine) for the party to dine at Pemberley. While Miss Darcy may have been diffident, she was not being slavishly obedient. Georgiana is not a cipher — she’s the catalyst that, in my opinion, tipped the scales in Lizzy’s heart toward loving Mr. Darcy. What is fascinating to me is how, with so little said about her, Georgiana becomes a fully-fleshed minor character. Heh, I knew several young women when I was a teenager that embodied one or more of the characteristics Miss Darcy possessed (especially tall, well-formed and womanly traits). Hi Vince, so are you suggesting it was Georgiana who asked Darcy to come to meet Elizabeth on the very morning of her arrival and insisted on inviting her to dinner? I think it’d be a somewhat farfetched assumption based on the novel. We see her at Pemberley where she can’t even remember to order fruits for her guests. Please do not misunderstand: Georgiana adored her brother. It is not farfetched to assume that she would have been eager to meet the young woman who was clearly the apple of her brother’s eye. The same goes for the invitation to Pemberley. Georgiana acted according to her own lights, based on her love for her brother. Both Darcy and his sister suffered from social anxiety, although Fitzwilliam had both experience (and testosterone) to counteract the effects with his own coping mechanisms (like avoiding dancing at the assembly dance). Georgiana, with less experience and a less aggressive character, would simply freeze, like a statue, to avoid committing social gaffes, unless given a cue to act. To suggest she ‘disremembered’ to order refreshment, rather than avoiding doing anything at all but sit there and react, doesn’t jibe with the previous text references to her. I’m guessing you don’t suffer the same anxiety in social situations. Have some compassion for those who are so painfully shy, they take no action unless they must. It doesn’t mean they don’t want to — they just need a prod to get going. 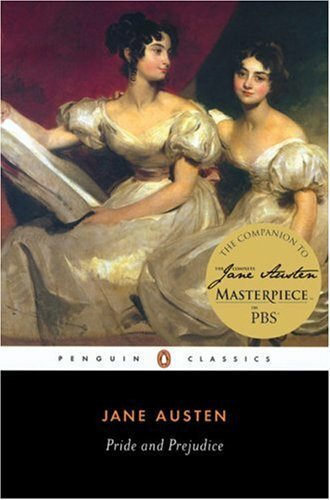 Well Jane Austen meant for the novel to show how both Darcy and Elizabeth’s judgements could be clouded by their strong pride they both and the prejudiced of each others families, friends and social classes. Personally I never thought Anne de Bourgh was a ‘negative’ character in the sense that Caroline was and may have simply been sticking up for her mother when Elizabeth turned everything around on her, which is not to different to perhaps what Lizzie would have done. Lizzie just simply doesn’t bother finding out as she doesn’t have a motive like being able to get closer to Darcy with getting to Georgiana.